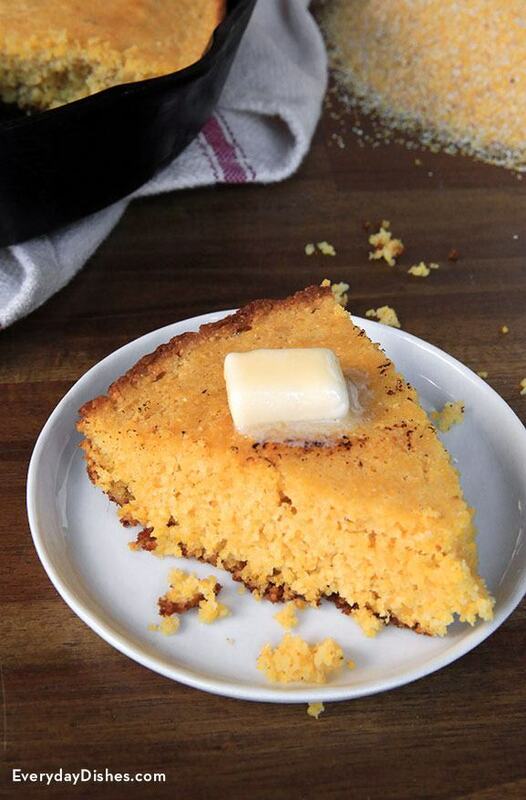 We’re not afraid to toot our own horn when it comes to our homemade skillet cornbread recipe. It’s made with all of the classic cornbread ingredients with the addition of buttermilk for results that are super moist and slightly sweet. Once you give this easy-to-make recipe a go in your own kitchen, you’ll never worry about dry, crumble-in-your-hands cornbread again! We promise, after you serve this, your family, friends and neighbors will be begging for the recipe. We couldn’t believe our eyes when our taste-testers went to town, gobbling up every slice of bread without adding butter or honey—it was unanimous, the flavor was so good all around, no one felt the need to add accouterments. In a large bowl, mix together the cornmeal, flour, salt, sugar, and baking soda. 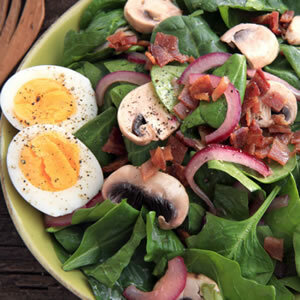 In a medium sized bowl, lightly beat the eggs. Add the milk and buttermilk and whisk to fully combine. Stir the wet ingredients into the dry ingredients and mix until no dry spots remain. Melt 2 Tbsp of the butter and gently fold into the batter. Add the remaining 2 Tbsp butter to a 9” cast iron skillet and put in the hot oven. Let heat until the butter is melted, about 5 minutes. Remove the skillet from the oven. Swirl the butter around the bottom of the pan and up the sides to coat them. Immediately pour in the batter and return to the oven. Bake for 15-18 minutes or until a tester comes out clean with not crumbs attached. Cool slightly and serve from the pan. Enjoy! Baking this cornbread in your well-seasoned skillet gives it a flavor unlike any other.